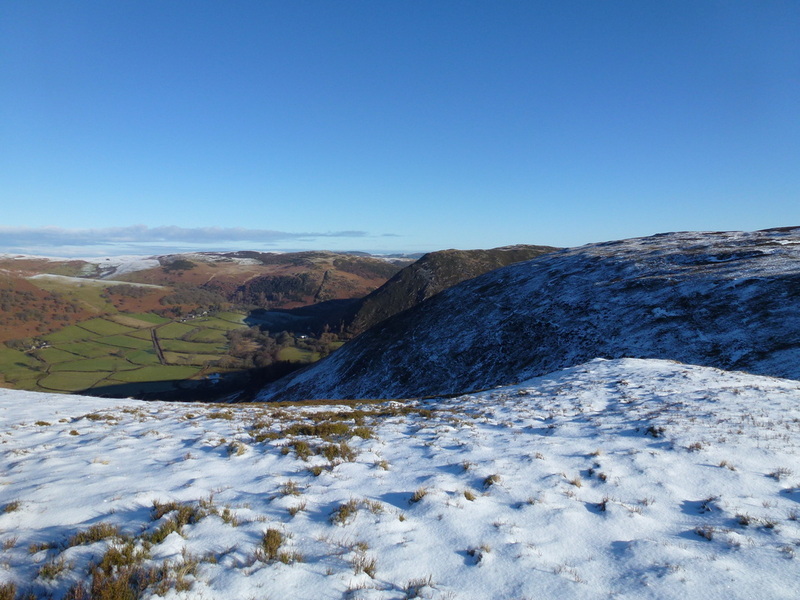 Snow on the high ground but the day promised clear blue skies and a crisp temperature therefore we headed out on the short drive to the small market town of Rhayader (with its 15 pubs!!) 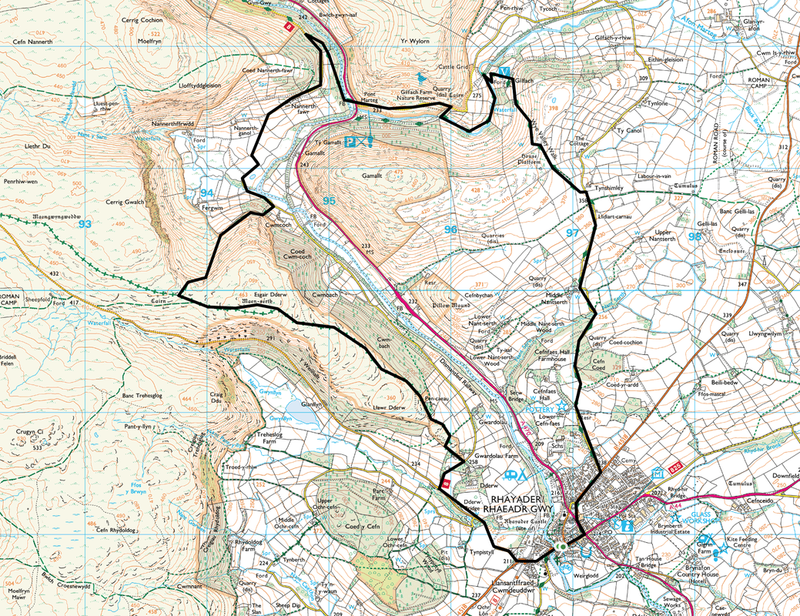 to walk some of the lesser-known hills about these parts. 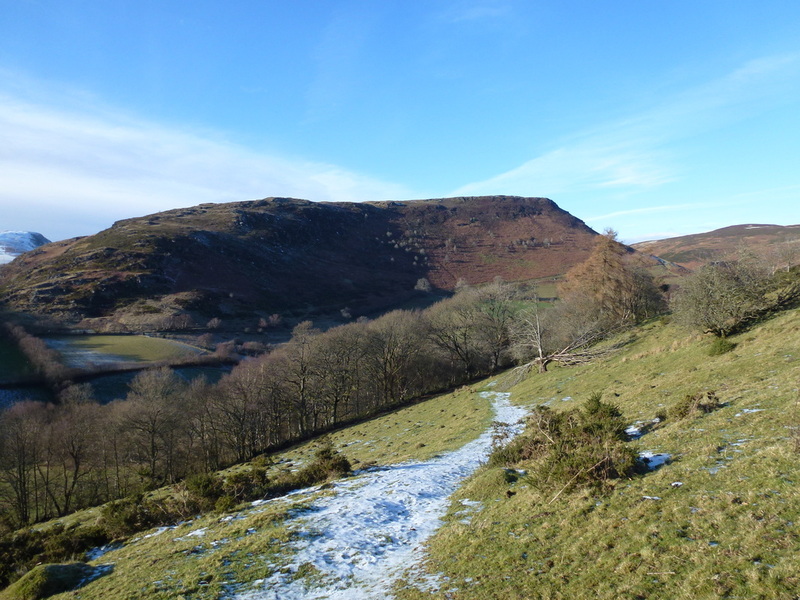 Despite living here for a few years now, we had never ventured out this way although we are regular visitors to Elan Valley just a short distance away. 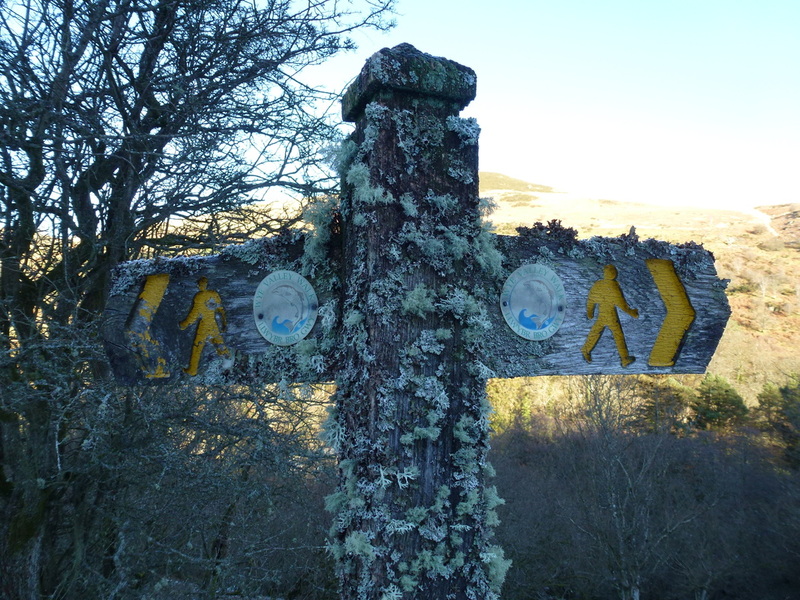 This route was featured as part of the "Weatherman Walking" series on BBC - the "Weatherman" in question is Derek Brockway from BBC Wales (short clip here). 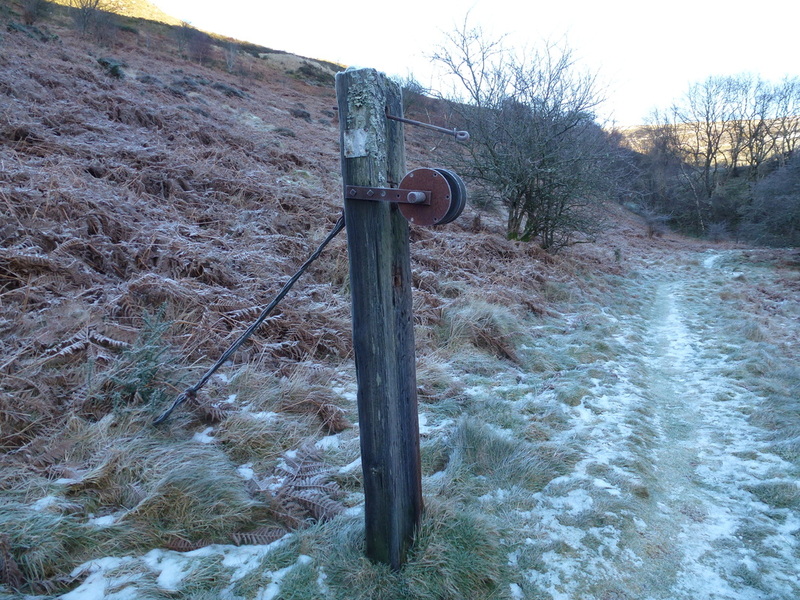 The walk starts at the foot of the Elan Valley Trail at Cwmdauddwr (come-day-there) where there is a small parking area that is never really busy. 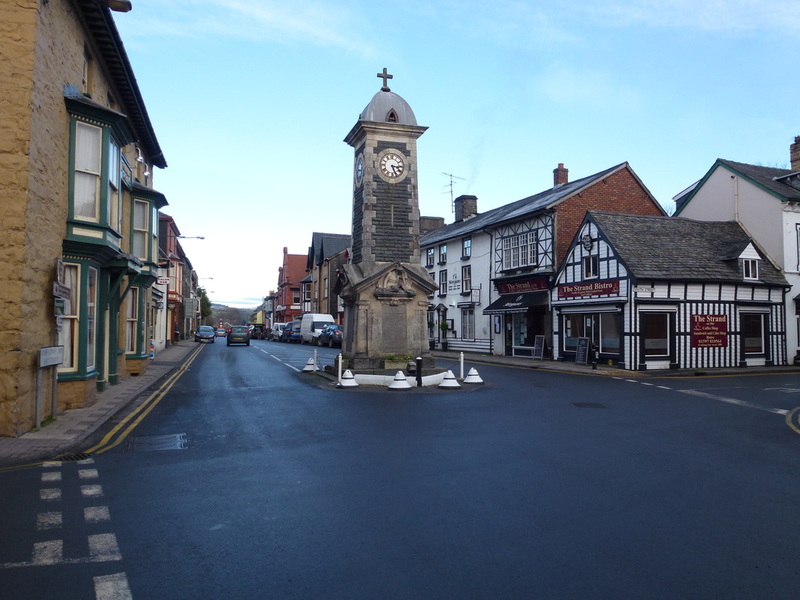 There is more parking in Rhayader just a short walk away. 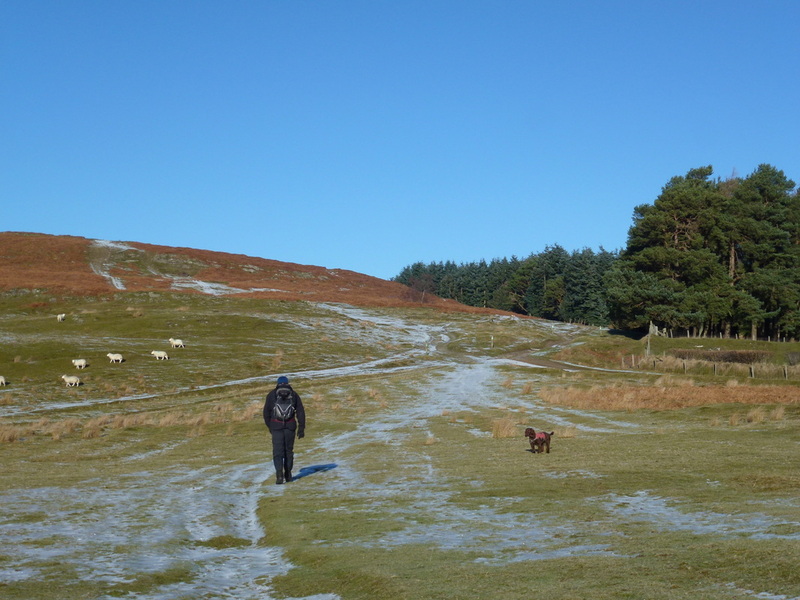 Leaving the car park we headed up the Aberystwyth Mountain Road, leaving after about 1km to head to Gwardolau Farm where we then entered Cwmdauddwr Common, the site of an old Golf Course. 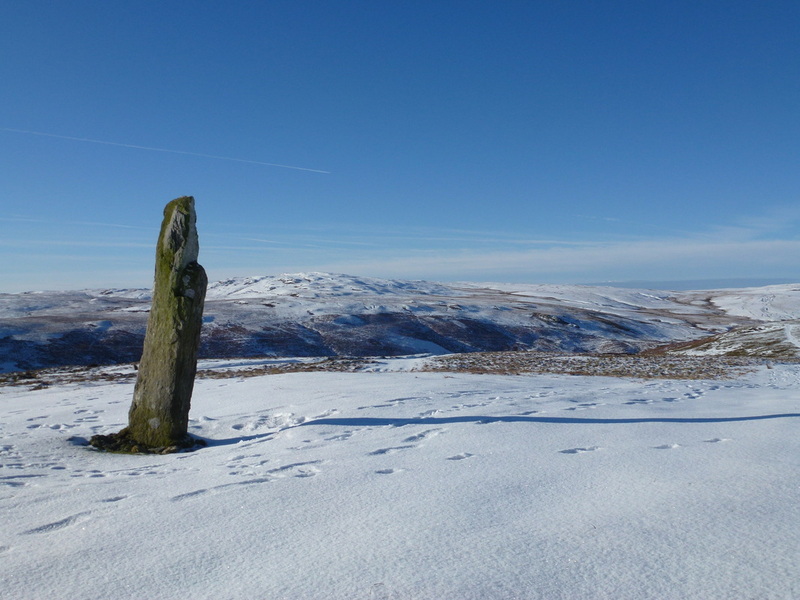 The route then heads gently up to the summit of Esgair Dderw and the 7ft high Bronze Age standing stone of Maen Serth, thought to be an ancient waymark. 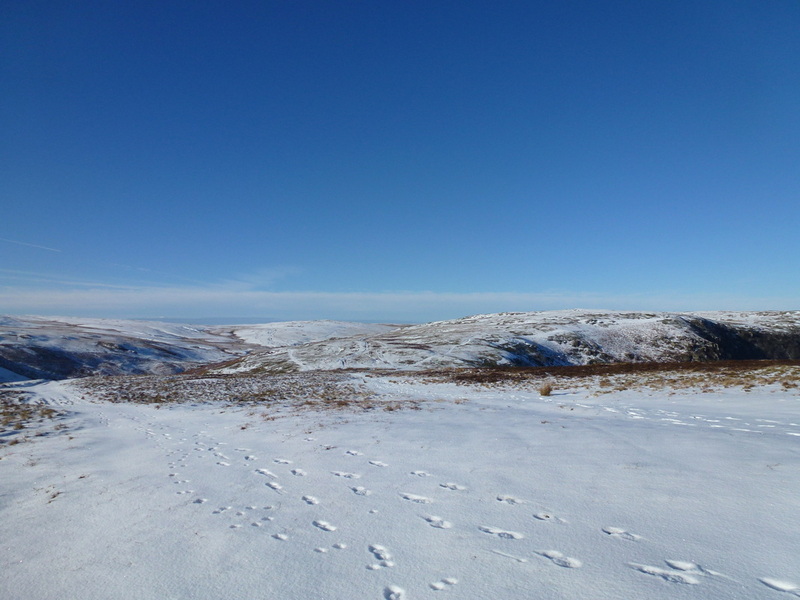 The views from the summit over to the Cambrian Mountains and the Wye Valley were superb today and we could look back to Gwastedyn Hill sitting high above Rhayader. 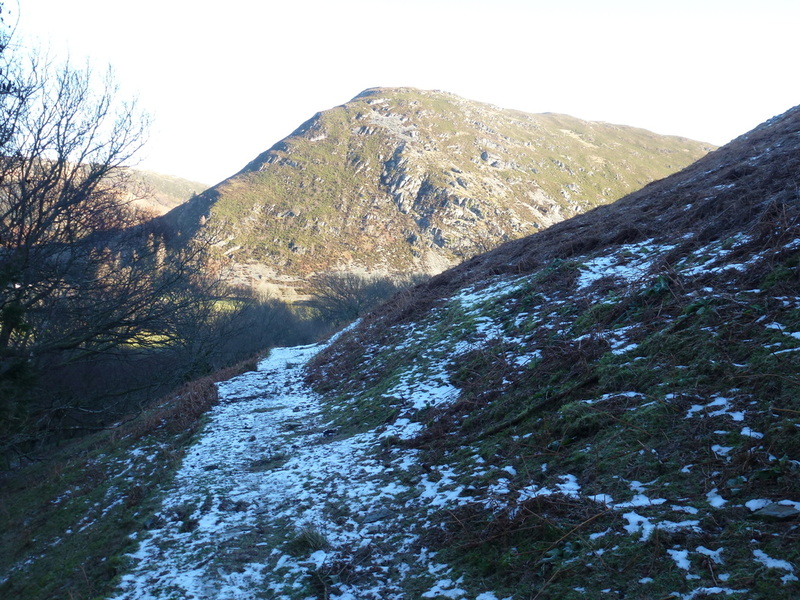 From Maen Serth we dropped down into a col and then headed off the hill down a steady descent between Moelfryn & Gamallt to reach a gate that we originally missed as it was lying on the ground. 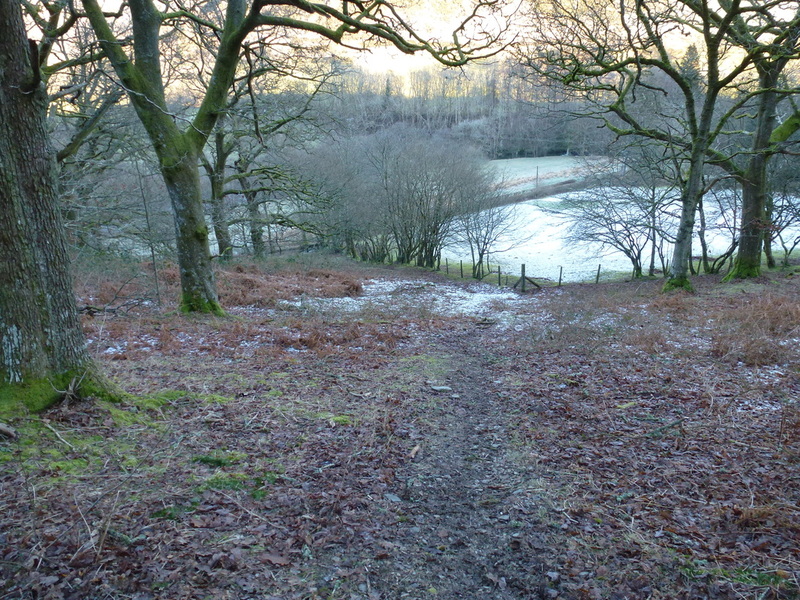 The route headed left through the gap down a steep incline to the lane where we took a left turn towards Nannerth Farm. 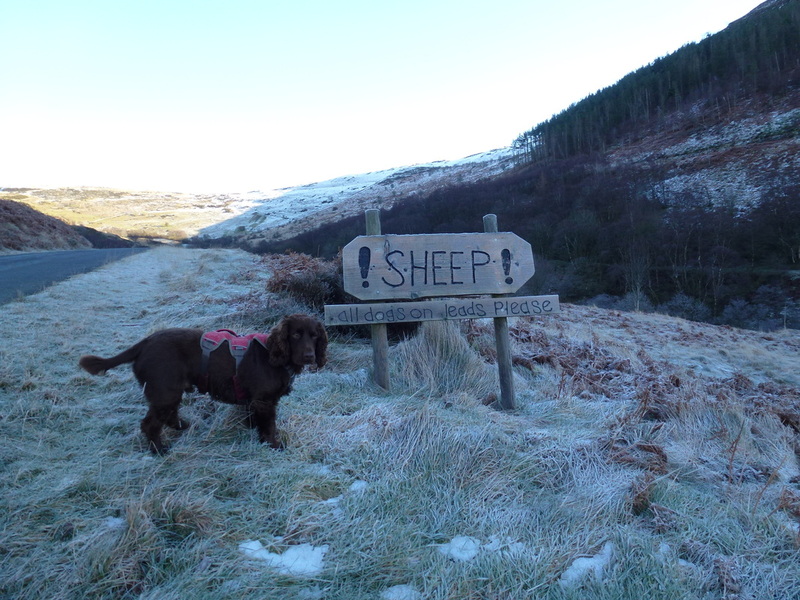 Through the farm buildings and reaching a wooden bench there was a Wye Valley Walk sign which led us to the right walking back on ourselves for a while before veering towards the River Wye which we crossed before heading across the A470 to enter Gilfach Nature Reserve. 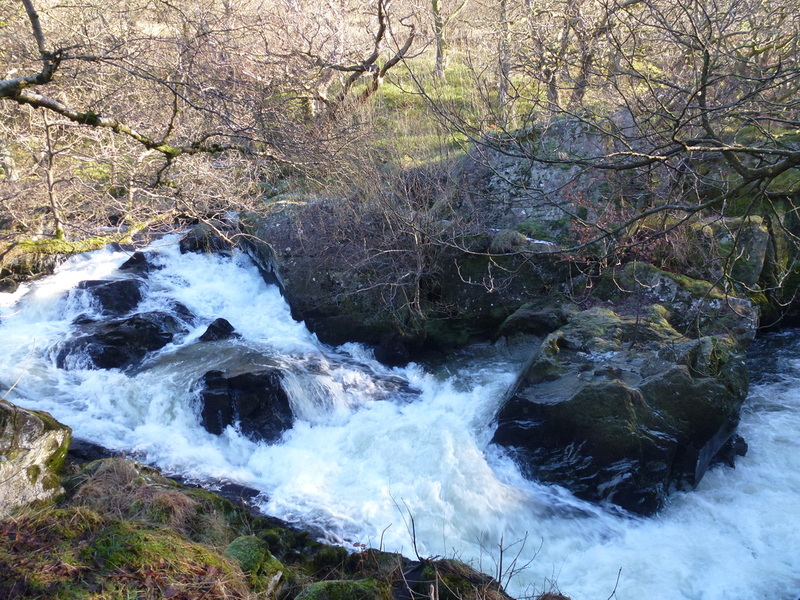 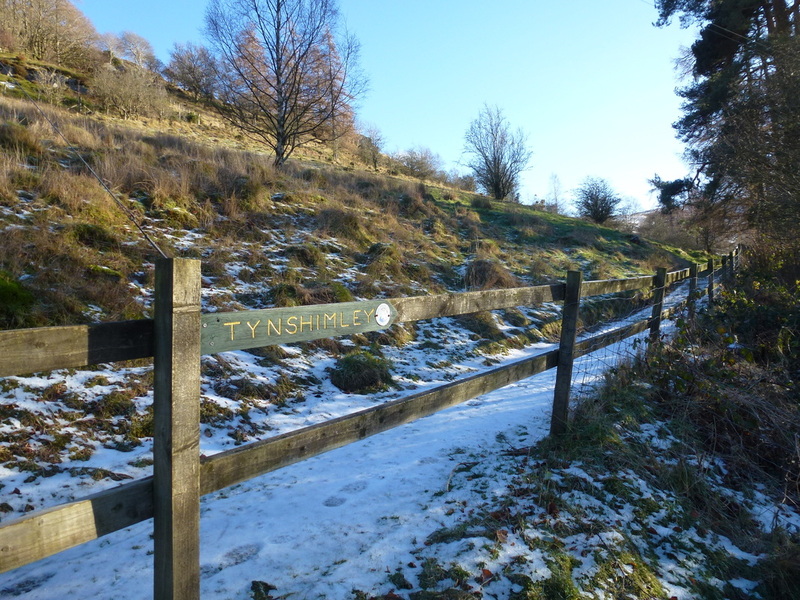 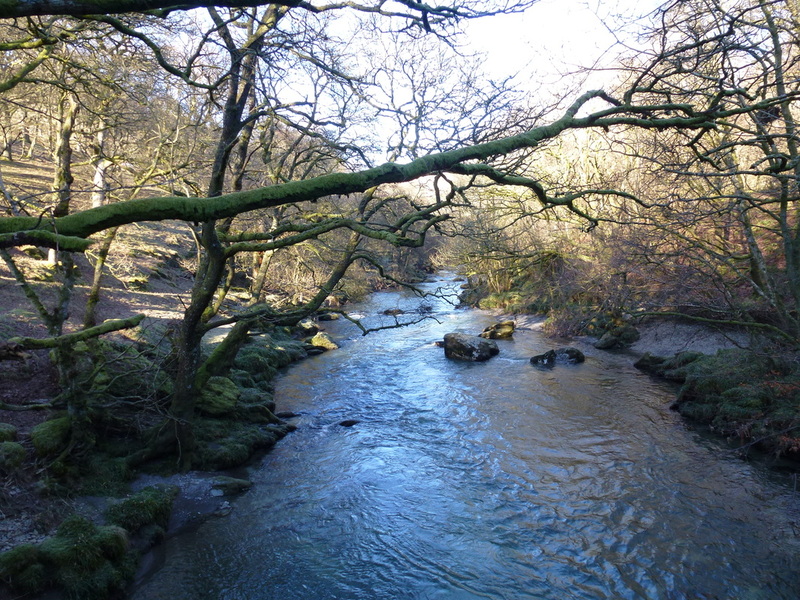 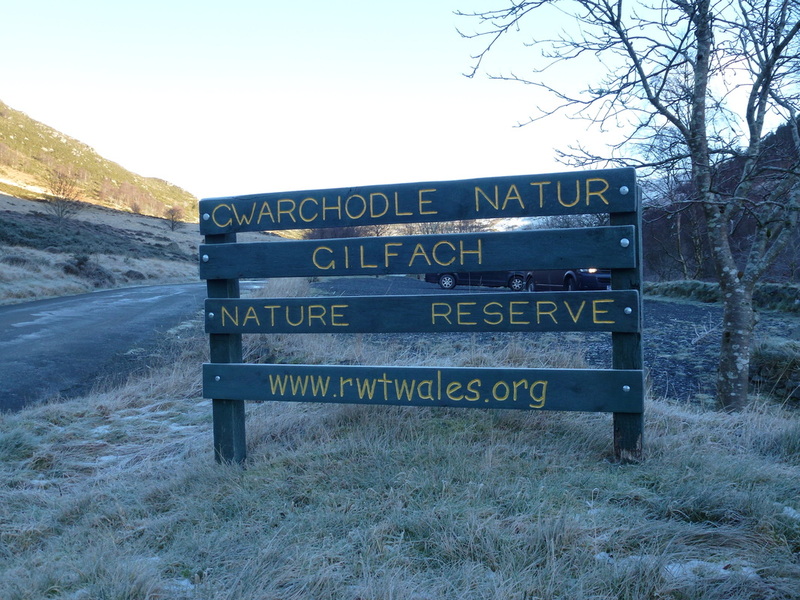 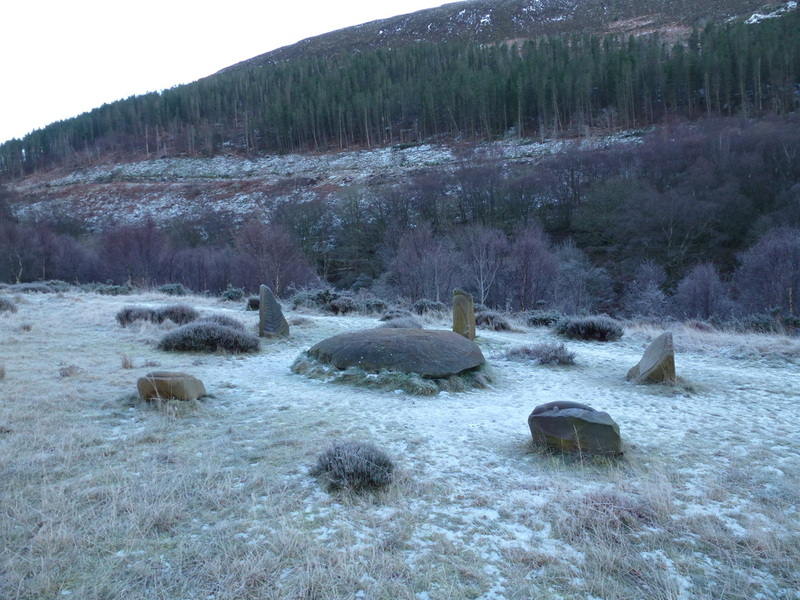 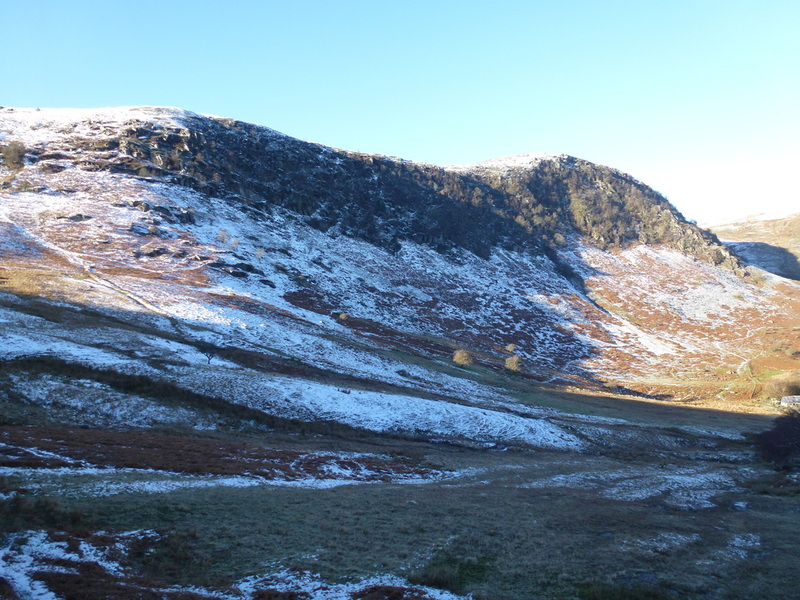 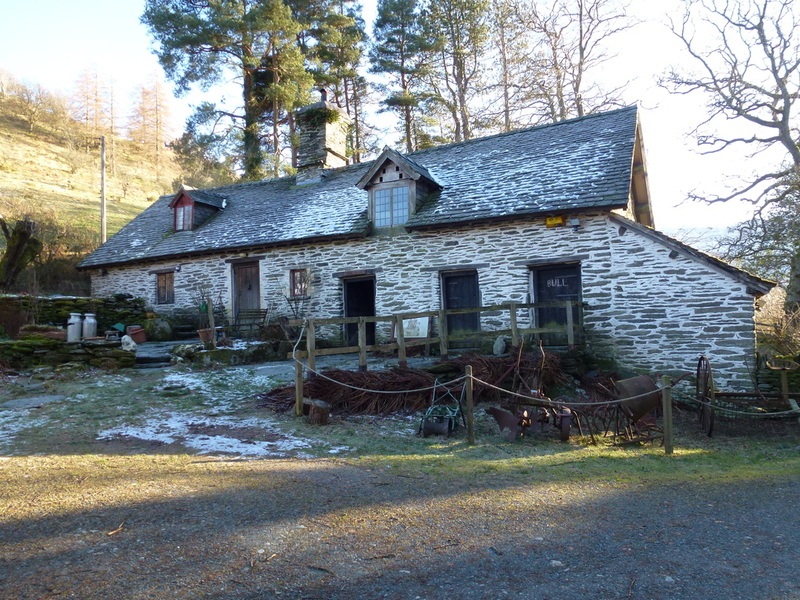 The Gilfach Nature Reserve is some 410 acres and is managed by the Radnorshire Wildlife Trust. 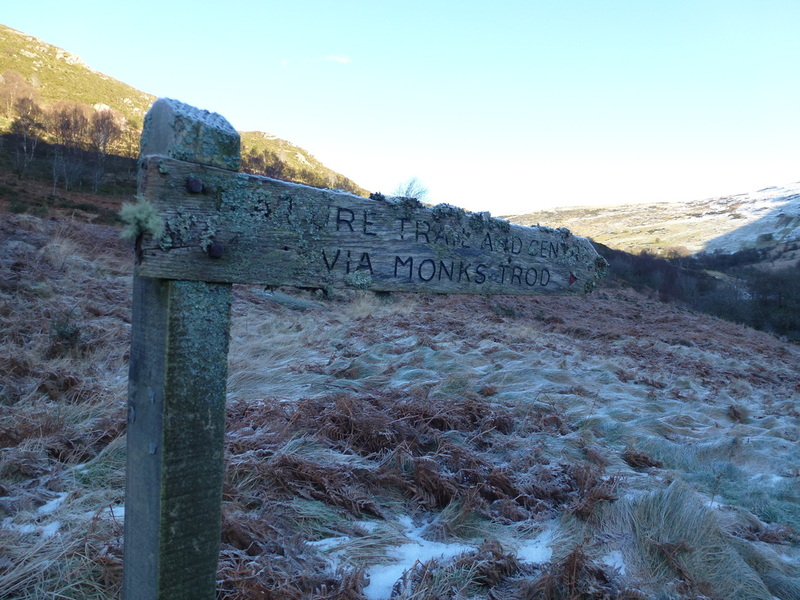 Heading along the access road, we soon left this to follow Monks Trod, a route used by Cistercian Monks, probably between the abbeys of Strata Florida & Abbey Cwm Hir. 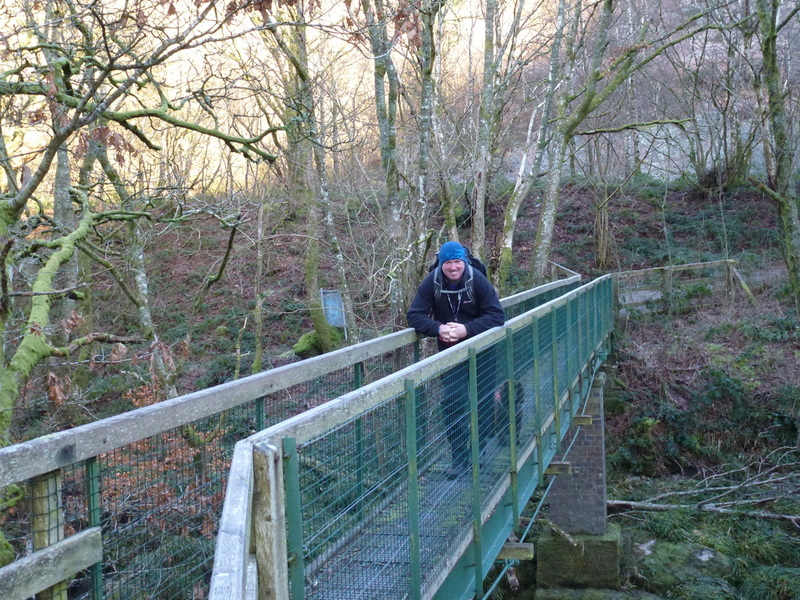 We then enjoyed a delightful amble through the reserve with the Pont Marteg for company before arriving at a waterfall viewing platform to watch the powerful maelstrom of water gushing through the narrow gap. 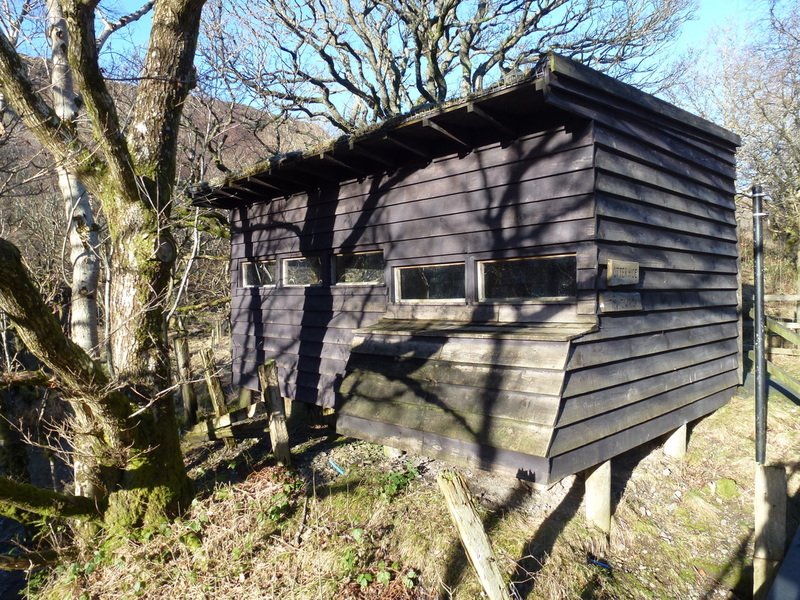 Shortly after we passed an Otter Hide and then arrived at the Visitor's Centre, opposite of which was a beautifully restored Welsh Longhouse. 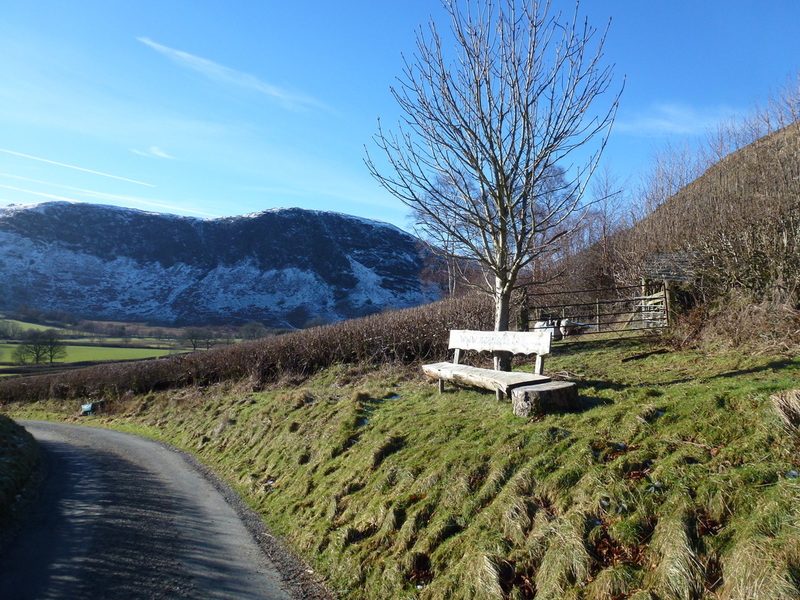 Leaving Gilfach, the route started climbing again to reach the road at Tynshimley where we then had a 2 mile road walk back to Rhayader. 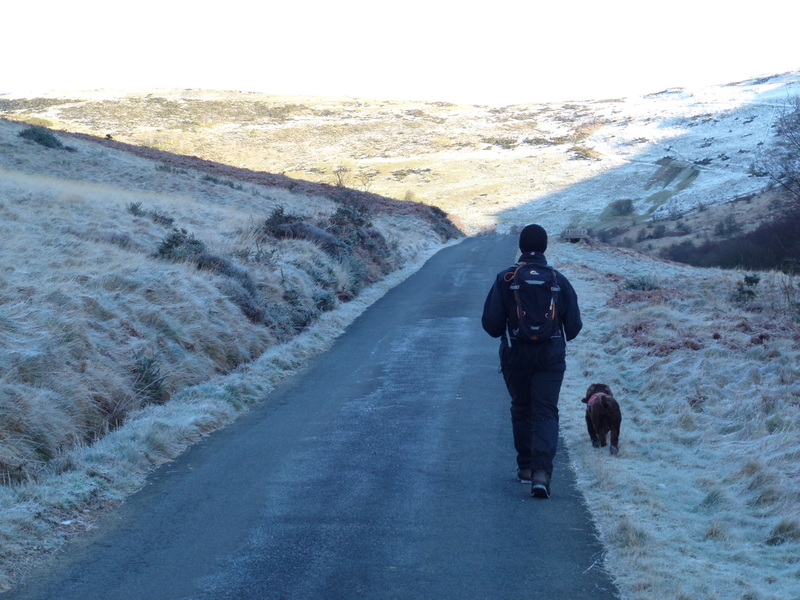 Although this is road walking, we encountered no traffic until reaching the outskirts of Rhayader. 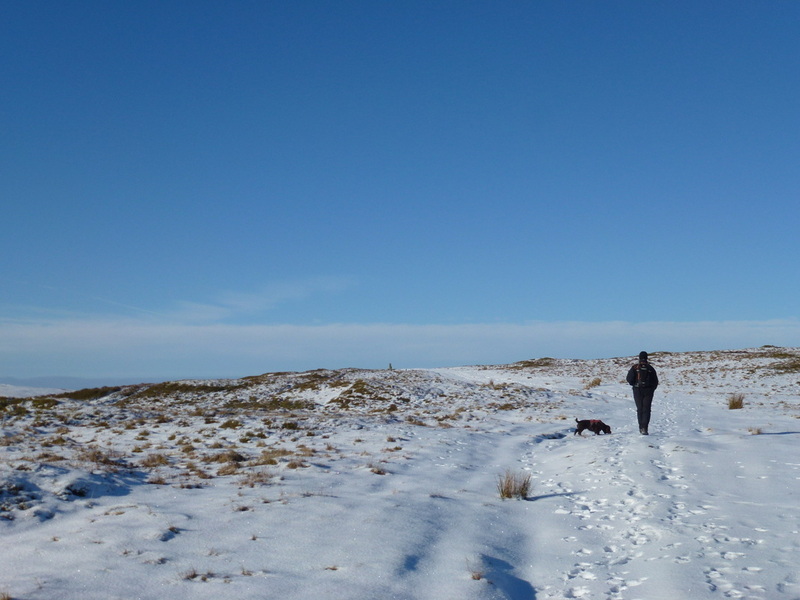 The conditions today were glorious. 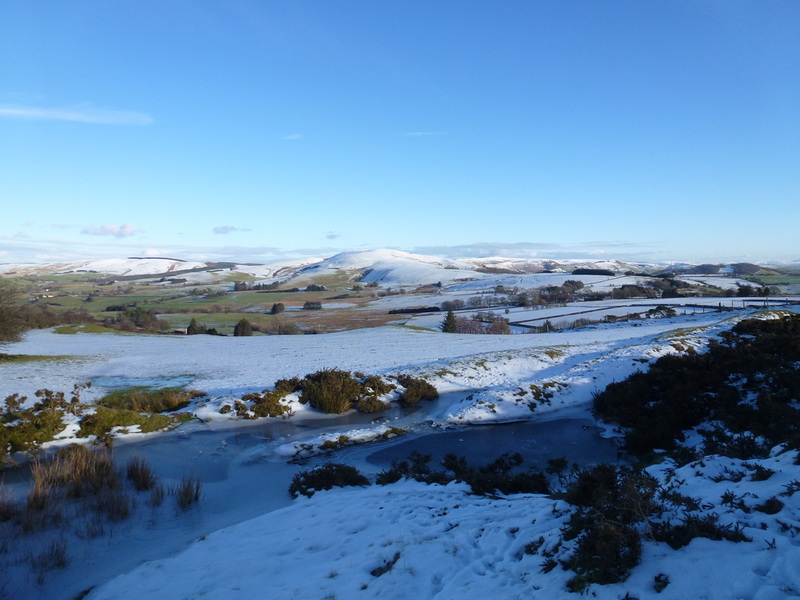 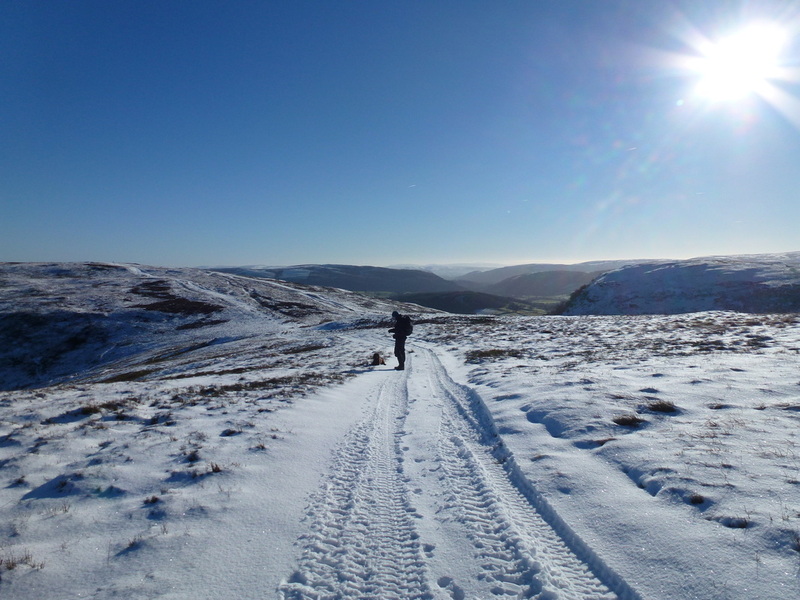 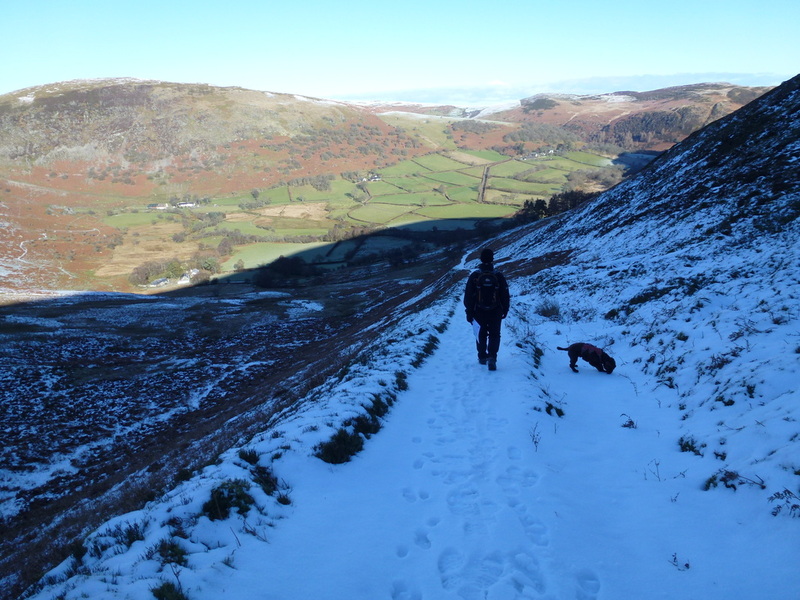 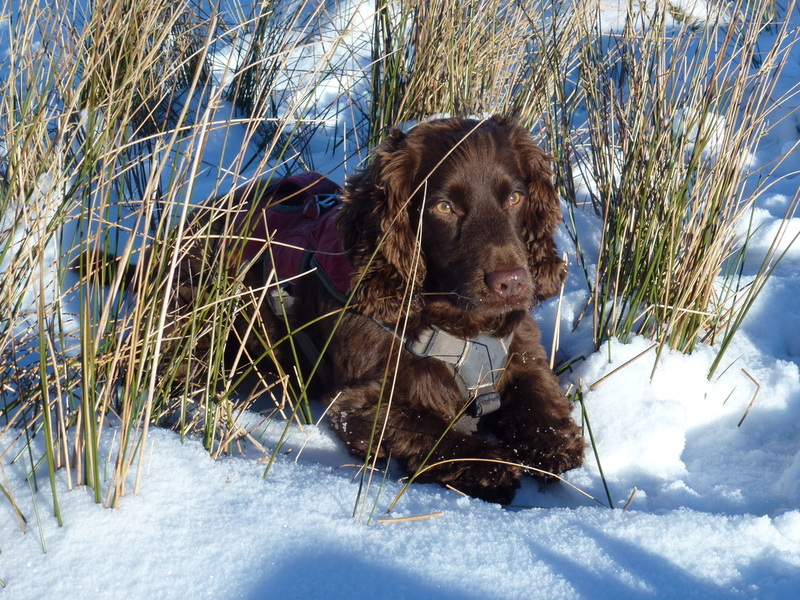 Crisp snow underfoot with beautiful sunshine made for a superb day out and whilst we had to take care on some paths due to icy patches this was still a delightful walk in a beautiful part of Mid Wales. 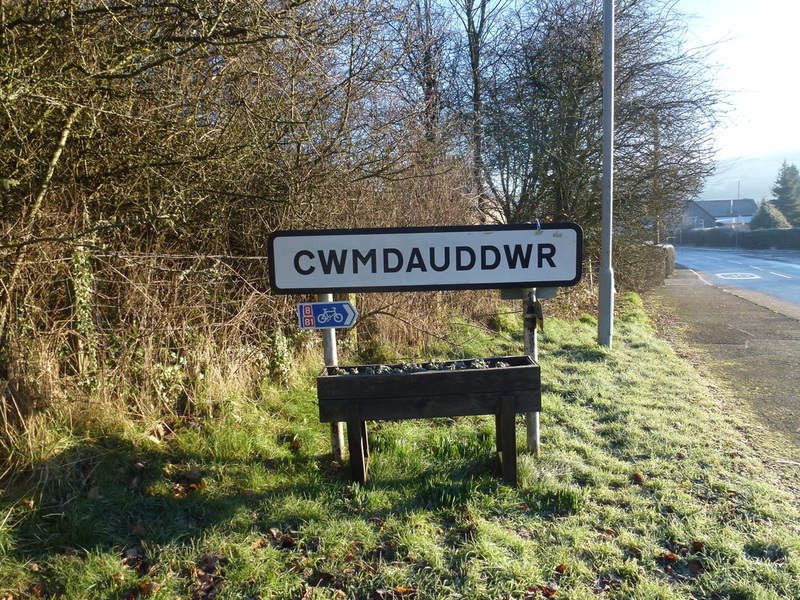 The walk started from Cwmdauddwr which is just outside Rhayader - this is not a bad Scrabble score apparently. 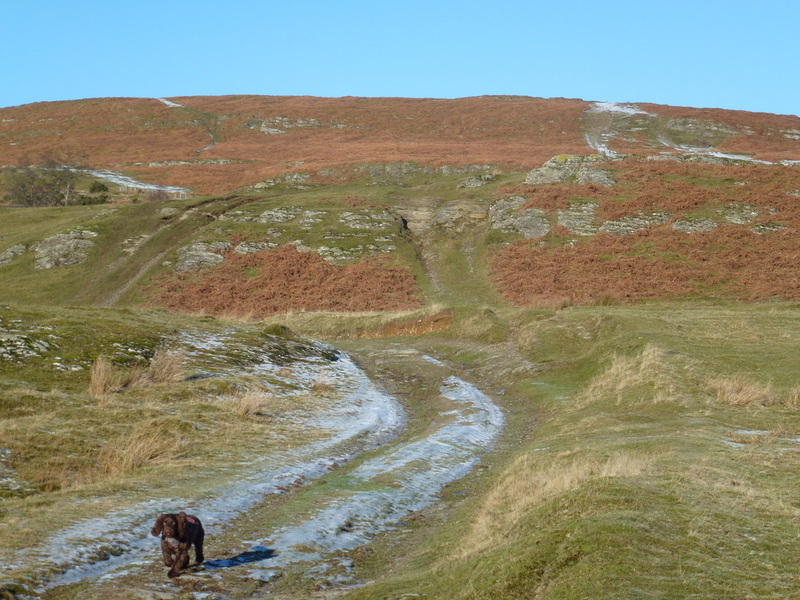 This part of the walk was well waymarked as there are farm tracks going off here, there and everywhere.